Focusing on contemporary Tibetan Buddhist revivals in the Tibetan regions of the Sichuan and Qinghai Provinces in China, this book explores the intricate entanglements of the Buddhist revivals with cultural identity, state ideology, and popular imagination of Tibetan Buddhist spirituality in contemporary China. In turn, the author explores the broader socio-cultural implications of such revivals. 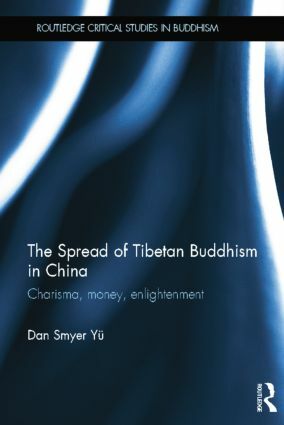 Based on detailed cross-regional ethnographic work, the book demonstrates that the revival of Tibetan Buddhism in contemporary China is intimately bound with both the affirming and negating forces of globalization, modernity, and politics of religion, indigenous identity reclamation, and the market economy. The analysis highlights the multidimensionality of Tibetan Buddhism in relation to different religious, cultural, and political constituencies of China. By recognizing the greater contexts of China’s politics of religion and of the global status of Tibetan Buddhism, this book presents an argument that the revival of Tibetan Buddhism is not an isolated event limited merely to Tibetan regions; instead, it is a result of the intersection of both local and global transformative changes. The book is a useful contribution to students and scholars of Asian religion and Chinese studies. Dan Smyer Yu is a Research Fellow at the Max Planck Institute for the Study of Religious and Ethnic Diversity, Göttingen, Germany.